Photographing a wedding between two people is great, but photographing a wedding between two people you know...and have known practically your whole life is even better! I had the pleasure of attending elementary school with the bride's sister, and have known the family since I was maybe...6,7? It's so awesome to see where life takes us, years ago if you told me I'd eventually be photographing Victoria's wedding, I wouldn't believe it at all. Anyways, less about me...more about this amazing couple! Here we have the proposal & wedding between Gustavo & Victoria, a couple that I absolutely love! Victoria's family reached out to me when they knew Gustavo was planning to pop the question, and worked me into their elaborate plan to surprise Victoria on a very special April evening at Danversport. The plan was that Victoria would walk down a path, with her relatives handing notes written by Gustavo, and Gustavo would be the last person on the path...not holding a note, but a ring! 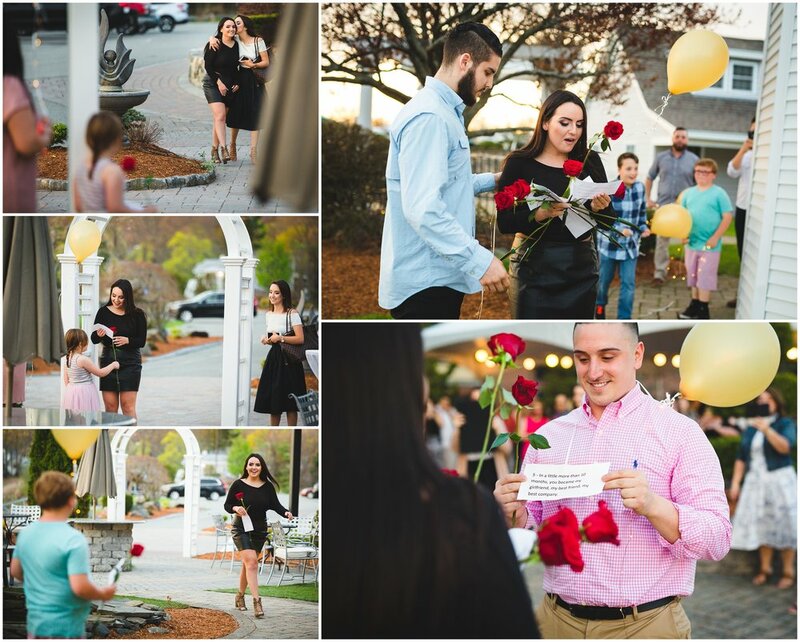 The proposal was absolutely fantastic, it was so amazing witness and capture, and I loved how well the plan worked out! 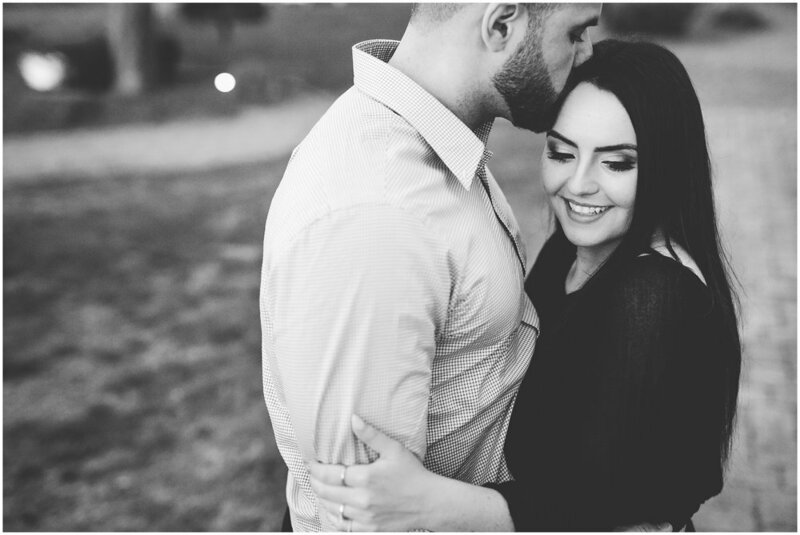 Gustavo, Victoria, and I managed to sneak away for a bit to grab the very the first photos of them as an engaged couple! 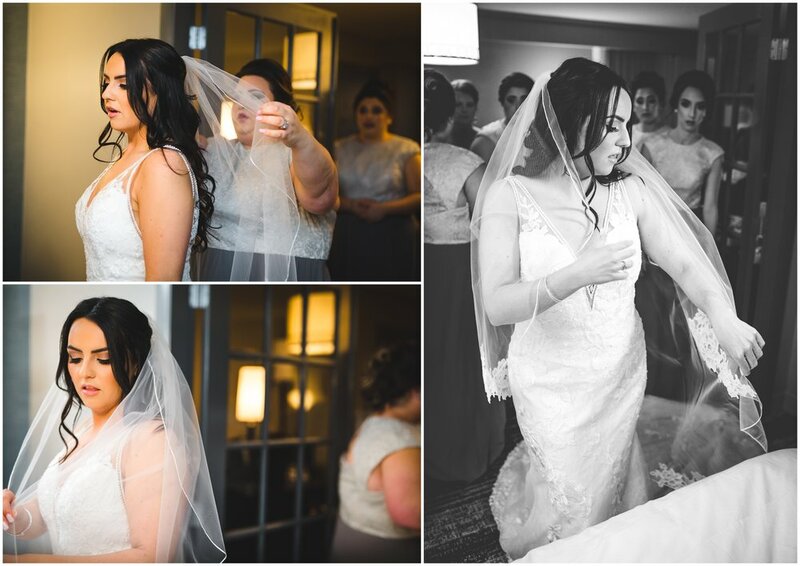 Now fast forward to their wedding, which took place at the Boston Marriott Burlington. 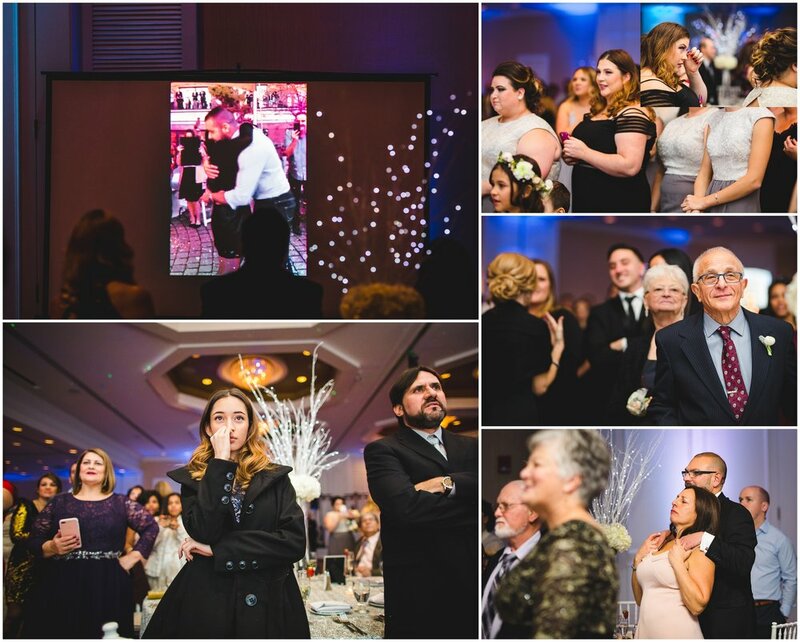 Excitement was building as all Gustavo wanted to do was to see his bride walk down the aisle. This was probably one of the most emotional ceremonies I've witnessed, with many (happy) tears flowing throughout. 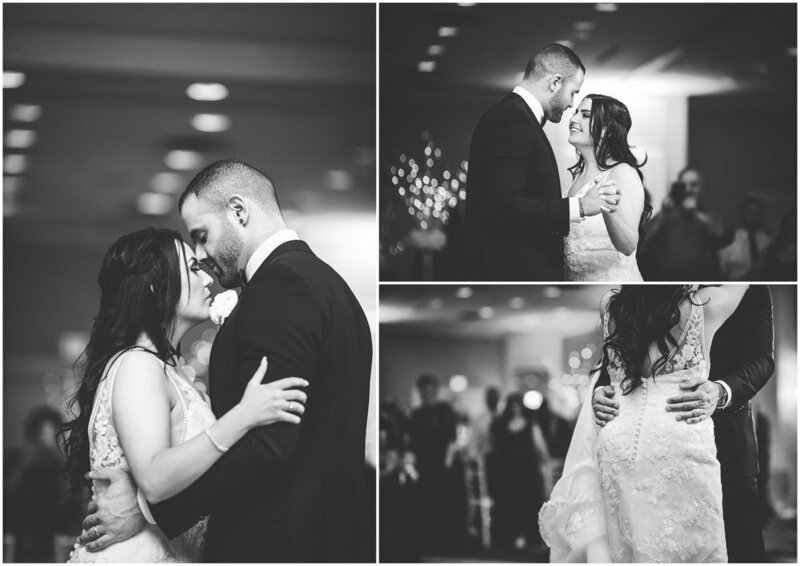 After the ceremony Brooke & I took the couple to the nearby hotel lobby for some photos, incorporating some Christmas elements into their images. Shortly after, we were treated to an amazing reception, and all the guests were eager to party! I knew going into this day that the bride's family is full of incredible, welcoming individuals, and I found out on this day that the groom's side was just as amazing! Everybody was so welcoming to Brooke & I throughout the day, we felt right at home. Towards the end of the night Gustavo, Victoria, and I took a quick break from the partying for some end of the night photos, ending this perfect day in the best way possible :). Congrats to the newlyweds, Gustavo & Victoria! And now onto the wedding!